the information below is retained for archival purposes. solar cookers international (sci) has been sponsoring extensive solar cooking work in kenyan refugee camps. 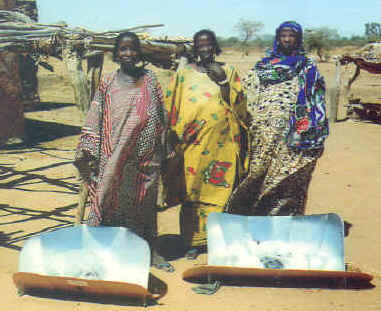 more than 15,000 families have attended workshops and returned home with their own solar cooker. 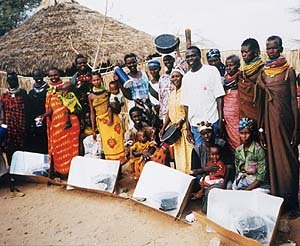 thanks to a new cooker design, it costs only us$10 to supply each of these families with a solar cooker, a black pot, a supply of trial food, and instruction on how to use their new cooker. follow-up visits have revealed a high level of use. 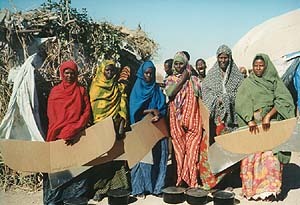 families report now that they no longer have to trade their scarce rations for firewood, and thus have more food left to eat. you can listen to margaret owino discussing the project on the bbc program network africa. solar household energy, inc. is spreading this work to other countries including turkey. 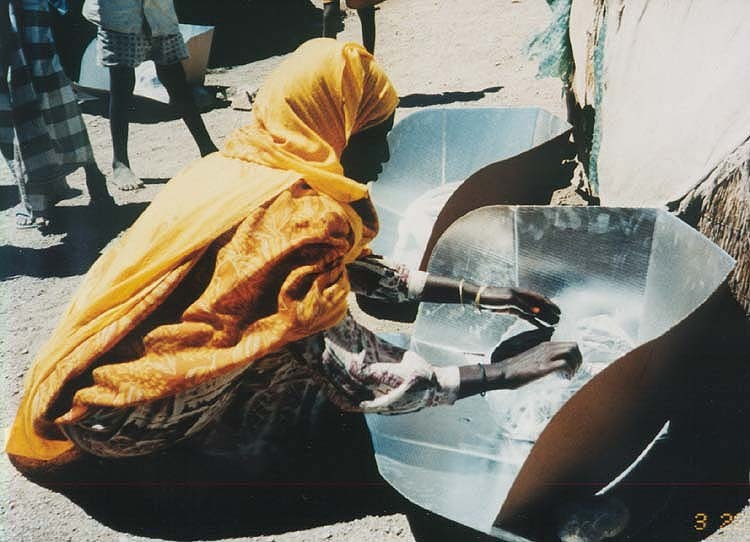 interaction recently published an article on sci's work with solar cookers in refugee camps. 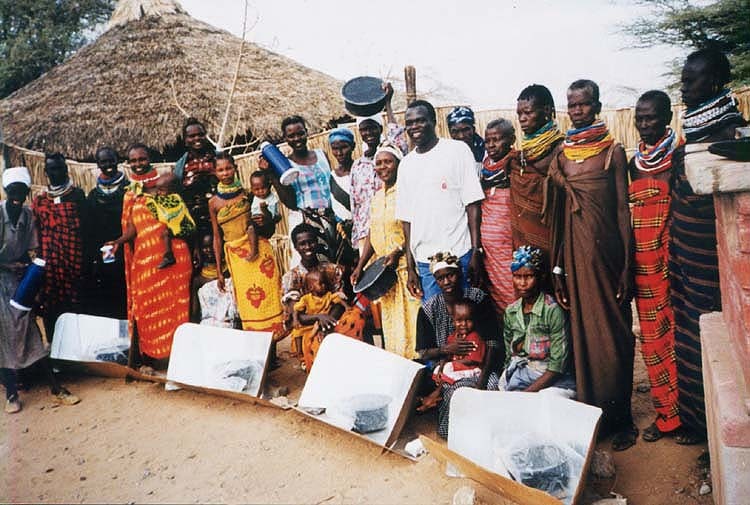 listen to "letters from kenya" where sci trainers discuss the projects. an october '95 interview with dr. robert metcalf on his return from trainings in dadaab and other camps.